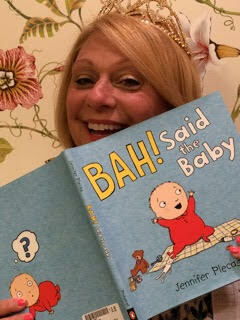 Princess Janice will be at the Farm Market from 3:30 to 4:30 this Thursday, reading books, helping children make a healthy snack and parading with them around the market. Need a few more herbs or veggies for your garden? 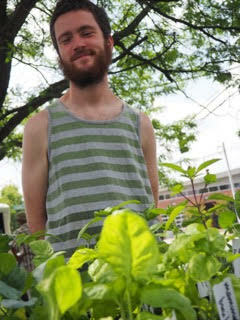 Northside’s Village Green community garden offers plants for sale each week. They have a few flowers as well. 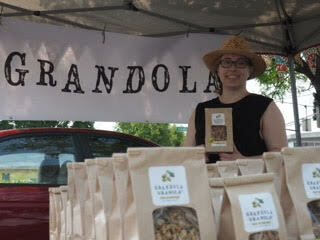 College Hill business Grandola Granola has introduced a new flavor this season. Stop by their booth for a taste, and take some home. Patty from Back Acres Farm said they hope to bring strawberries this week. Come early for these as they sell out quickly. Welcome our new smoothie and juice vendor—Fresh Express. They feature a special smoothie each week. Our apologies! Last week, some of you came just for the food truck Empanadas Aqui. They were here at the start of market last week, but left when they discovered a gas leak. We were disappointed that they had to leave, but safety must come first. 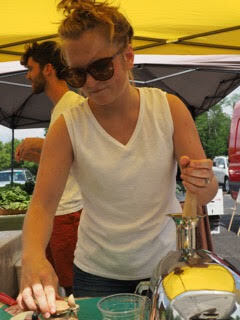 They will be back this week with their yummy empanadas and arapas. This entry was posted in News and tagged Back Acres Farm, Bergefurd Farms, College Hill, Dave Hawkins, Empanadas Aqui, farmers' market, Fresh Express, Grandola Granola, Llanfair Retirement Community, local food, Our Harvest, Twin Towers, Village Green by College Hill Farm Market. Bookmark the permalink.